The land of insomniac summer nights, medieval old towns, fir forests and tall beauties. “You’re going where?” Everyone back home asked. The Baltics. A trio of countries in North-East Europe wedged between Russia and the Baltic Sea. Since gaining independence from the Soviets, these states seem to be swiftly gaining tourist momentum. And yet they still feel so old school Europe, like medieval times weren’t perhaps quite so long ago. It’s still possible to dine out and get a beer for €2, and a meal for under €3. The summer days seem to last forever with the sun up until midnight, disappearing only to rise again 4 hours later. 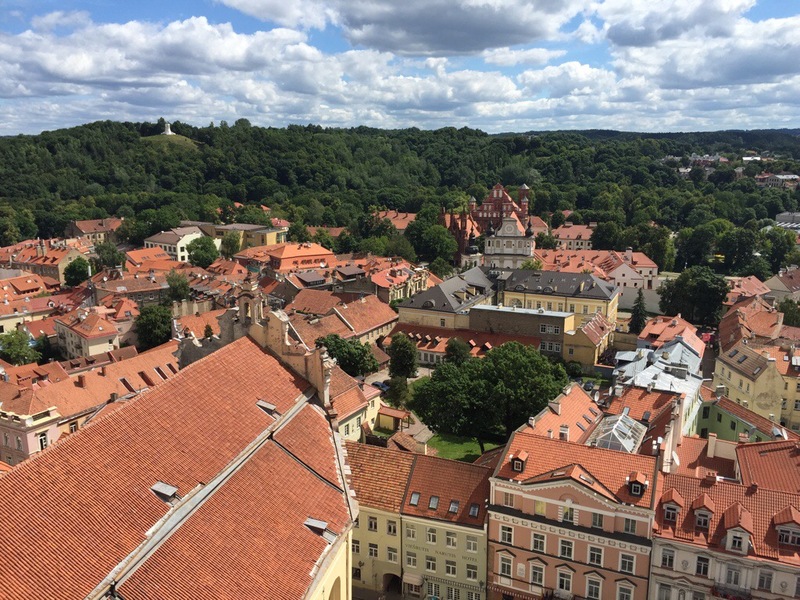 I had a mere two week Baltic teaser – zigzagging across all three capitals: Vilnius, Riga and Tallin, as well as Lithuania and Estonia’s small coastal towns. My favourite country was for sure Lithuania. I may be slightly bias to the fact it’s renowned for having the best looking men. Sure, anyone with an ever so slight perchant for tall, urban, bearded beauties will be in voyeurism heaven. But of all the capitals Vilnius is the most quaint, hardly touristy and has sweet bohemian vibes. I wouldn’t be surprised if men preferred Estonia, as it’s rumoured here the women are the most beautiful. A bit of eye candy certainly does help decorate the streets. But of course there is so much more to a country then beautiful locals. And they definitely charmed me. I feel for the Baltics’ quaint aesthetics, folklore traditions, dreamy landscapes, colourful history and endless summer days.